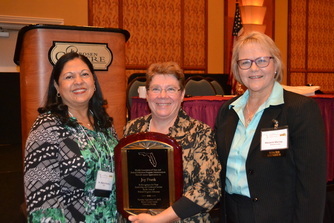 Florida Association of State and Federal Education Program Administrators (FASFEPA) presents Joy Frank, General Counsel/ Legislative Liaison, FADSS, with a Federal Education Advocacy Award during the 2013 Fall Forum. The "Super Circular" and Other Recent Developments - Leigh Mansesvit, Esq. Work Worth Doing - Mark Wilson Ph.D.